Branding your business is our business. 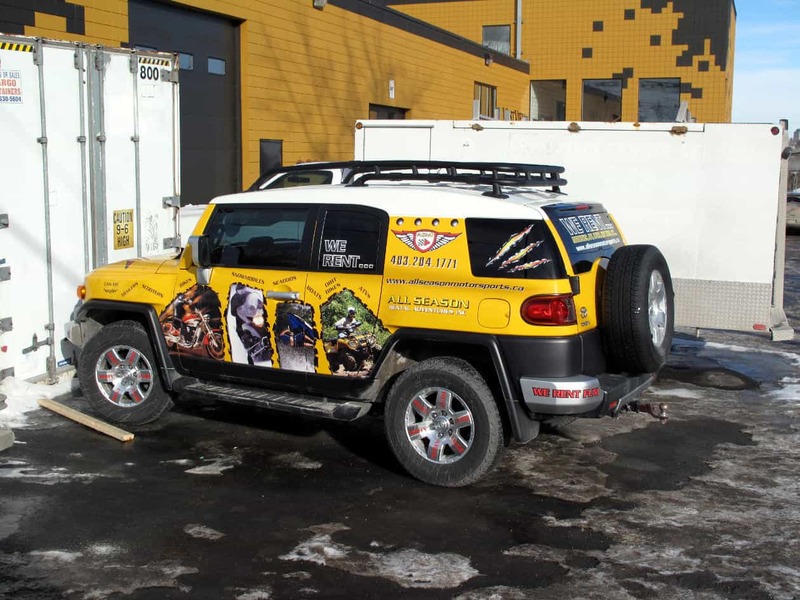 You’ll love how a high-quality vehicle wrap elevates your brand. A partial or full-vehicle wrap from Summit Signs & Design is a smart way to reach new customers and showcase your brand. Your company vehicle is a depreciating asset. 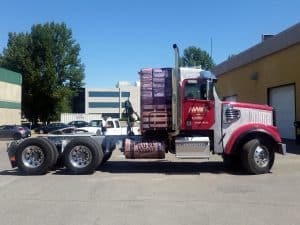 Put it to work with a wrap that not only protects its paint and finish, but introduces those around you to your company. You’ll be impressed at how effective a wrap really is. 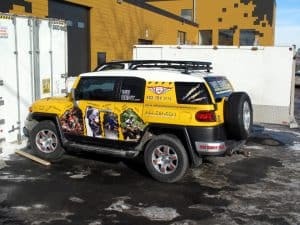 More effective than a billboard or bus-bench ad, a vehicle wrap is cost-effective, impactful, and impressive. Let’s get yours started, today! We work with you to determine your needs. Do you want a full or partial wrap? Full colour or monochromatic? 3M or Vinyl? Once we know your needs, we are set to begin designing your wrap. 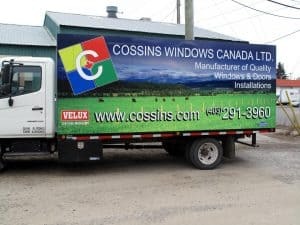 Our graphics team will create mockups of the artwork on your vehicle, conforming to the requirements and specifications we established during your consultation. Proofs will be provided for the initial design as well as revisions. With your approval on the mockup, we move on to fabrication. The wrap is printed and checked for quality. Once we’re confident that it’s ready to go, we then prepare your vehicle for application. Application itself is straightforward- our team has installed wraps on hundreds of your vehicles. The end result is a wrap that will set your business apart. Easy! 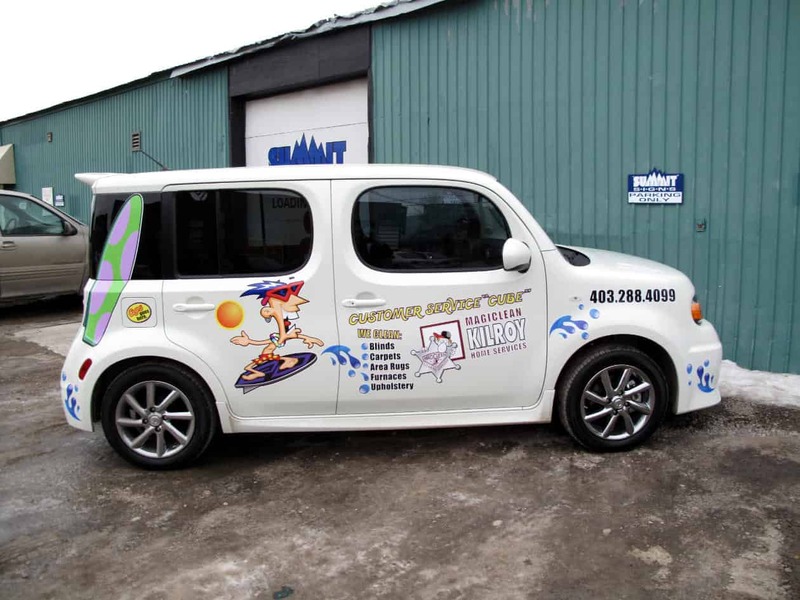 Our vehicle wraps are top-notch. Let over 45 years of experience work for you. If you’ve got questions, we’ve got answers. Our top-notch service team is always here to answer your questions! Generally speaking, from the moment you call us to the day your wrap is installed, roughly two weeks have passed. For a small wrap, it’s safe to assume a budget in the $500 – $1,500 range. However, we will quote your wrap based on needs and requirements, so give us a call! 5 – 10 year warranty based on the quality of material used. Our wraps come in variety of qualities, depending on how long you want the wrap to last, how long you need to have it on your vehicle for, and the types of weather you need it to endure.